Q. Which is traditional Japanese confectionery that people eat in September? hint: People eat it on Autumnal Equinox Day in Japan, which is the middle day of the Higan period when people visit their family graves or worship at home altars to say thank you to their ancestors. Yes, they are an offering! They are ohagi. 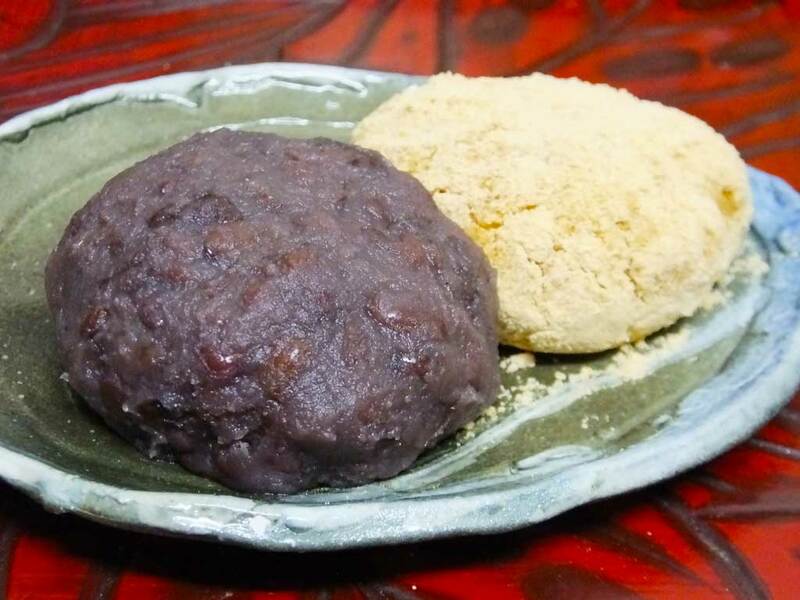 Ohagi are made with azuki beans, sticky rice and sugar. The question is, why do people make and offer ohagi to their ancestors? There are two reasons for this. Long time ago, sugar was very expensive and special, and the red color of azuki beans was believed to have a power to drive away evil spirits (though many people today don’t know either). 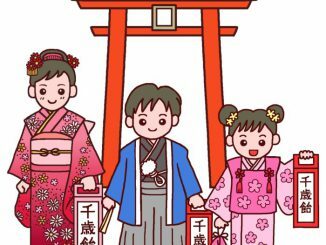 People clean their family graves or home altars, place ohagi there and pray silently. After that, they eat the ohagi thinking about their ancestors. 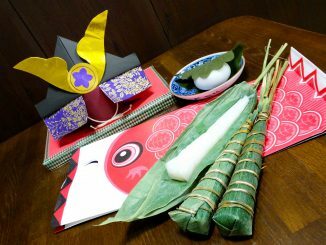 The same thing is also done on Vernal Equinox Day, but ohagi is called botamochi in this season. 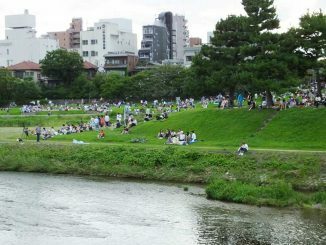 Ohagi was named after an autumn flower called hagi, and botamochi, a spring flower called botan. In the other picture you can see chimaki, but these chimaki are not edible, actually. They are what you can receive at Tsuki-hoko Festival Float at Gion Matsuri (one of the most famous festivals in Japan that is held in Kyoto). 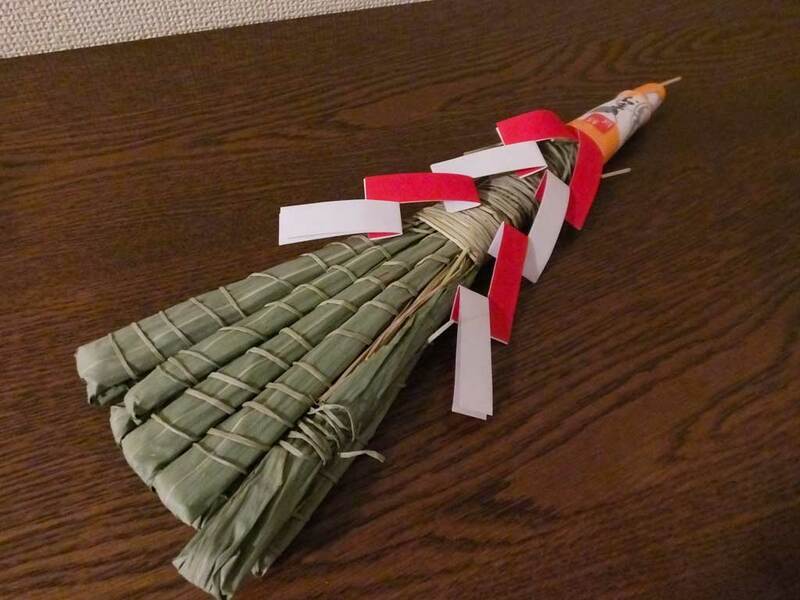 The chimaki of Gion Matsuri are protective charms, and people place them at home entrances for one year.